Government Authority located in Virginia; USA based organization looking for expert vendor for Medicare retiree health benefits services. (1) Vendor needs to provide Medicare retiree health benefits services. - Develop and distribute member handbooks which contain evidence of coverage, enrolee’s responsibilities and plan’s responsibilities. - Design, develop, produce and distribute educational, open enrollment and marketing materials. - Administer and distribute all centres for Medicare and Medicaid services required communications. - Provide a toll-free customer service number which shall provide general information on the plan, claims status, and counseling to members. 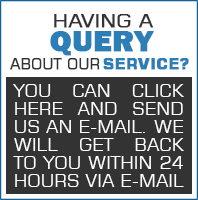 - Respond correctly and timely to inquiries received by telephone, by mail or in person. - Offeror must be able to provide a national passive PPO group Medicare advantage with Medicare Part D Rx plan. - Plans must be insurer-filed and have state and federal approval. - Changes made to the requested benefit levels in this solicitation, if any, must be minimal. - Coverage must be guaranteed issue and guaranteed renewable for each participant. - The plan must allow for enrollments of current pre-Medicare retirees upon attainment of age 65 during any given plan year. (3) A non-mandatory pre-proposal conference will be held on April 5, 2019.